Smart engineering goes beyond numbers. One of three women in her own undergraduate engineering program, Anagnos is determined that all students feel welcome. 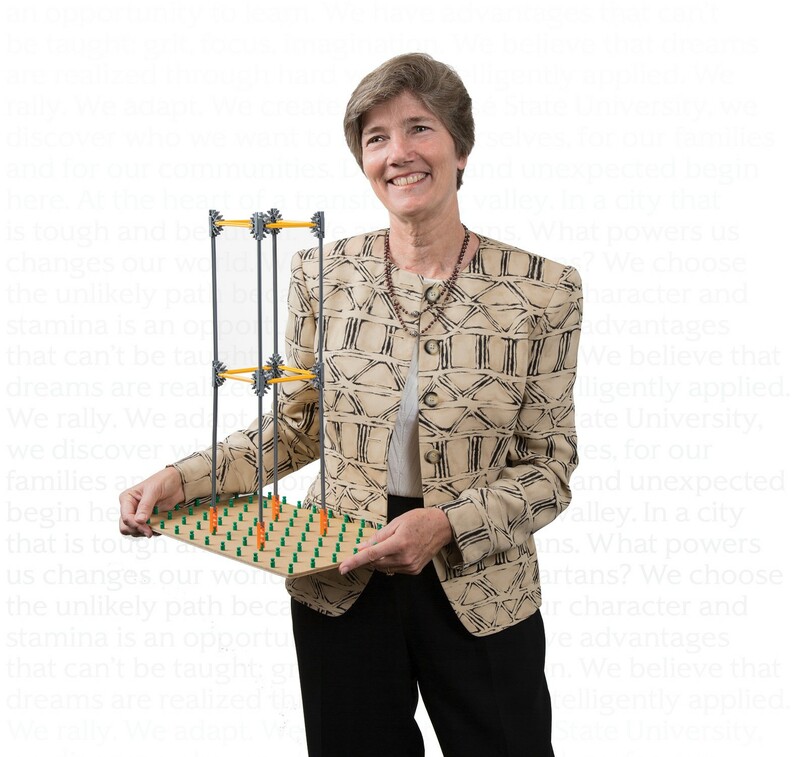 For 20 years she annually brought 1,000 young women to campus to learn about careers in math, science and engineering, and she currently leads a National Science Foundation scholarship program that has funded 66 students; 29 percent are women, exceeding the 16 percent of female undergraduate engineering students at SJSU. She also recruits and mentors female students and understands the profession is better for it. “The best engineering solutions emerge when the design team embraces multiple perspectives.” Clearly this counts.